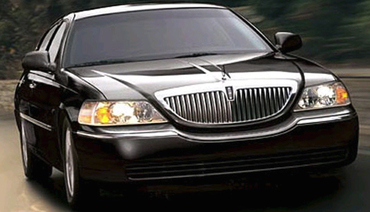 Allow Kitchener Limo Rentals the supreme pleasure of serving you at your next corporate event. We value each and every client with the utmost care. With our personal touch and style, your business will definitely stand out. Don’t leave things to chance with other limo services in Kitchener and surrounding areas. We have the team, drivers, fleet, and experience to make your event and transportation extra special. With VIP pricing available, even the hardest client to close will be eating out of your hands. We aim to please our customers and reflect professional and quality for your company. We’ve been serving the Kitchener area for a number of years, and our experienced drivers and staff can help aide in the event planning process. We provide luxury car transportation to and from corporate events. Your clients will ride in style with our amazing line of fleets. Our top of the line limousines, cars, and SUVS scream luxury. Call our team today to set up arrangements and venues. We work with a number of vendors to ensure an unforgettable experience. Ride in style, comfort, and conveniences with Kitchener Limo Rentals. Our fleet can accommodate large parties as well as more intimate settings. We have adjustable accommodations and affordable pricing. Our fleet of cars, limousines, and party buses have several amazing options for our clients to choose from. In addition, our team of knowledgeable staff about the city take painstaking efforts to ensure your vehicle experience is as seamless and enjoyable as possible. Our limo service has many exceptional amenities that our passengers enjoy, such as snack or beverage/cocktail bars. Our car features are also equipped with interior system upgraded to meet all of the latest technological standards and client’s preferences. A luxury limo ride to meet with prospective clients or attend corporate events distinguishes your reputation to potential clients and networks of people. We want our clients to succeed in whatever their endeavors may be. Let us help with all the small details and make your company shine. Our drivers know the exact routes to popular corporate event venues downtown. With proper planning from our dedicated staff, we ensure clients enjoy a wonderful experience from start to finish. Allow Kitchener Limo Rentals the supreme pleasure of serving you at your next corporate event or birthday limousine night. We value each and every client with the utmost care. With our personal touch and style, your business will definitely stand out. Don’t leave things to chance with other limo services in Kitchener and surrounding areas. Let our team, drivers, fleet, and experience make your important event and transportation extra special. With VIP pricing available, even the hardest client to close will be eating out of your hands. We aim to please our customers and reflect professional and quality for your company at Kitchener Limo Rentals. Contact Us - Book Your Corporate Car Today! Our professional staff is standing by, waiting for your call and inquiry today. Please call us at 226-241-9927 or fill out the information form on your screen. We provide everything you need for your corporate event’s transportation to go along without a single hitch!